Is Lucy Liu Lesbian ? The Asian-American actress Lucy Liu is a multi-faceted personality who has showcased her talent in several fields. Her acting career began in 1991 from the Television series named "Beverly Hills, 90210" where she portrayed Courtney for an episode. After her debut, she was everywhere as she was cast in many more movies and Television series. The charming Liu is an artist as well and showcases her paintings, photographs in art galleries. She has done some directing in her career and has directed a movie and some episodes in Television series. 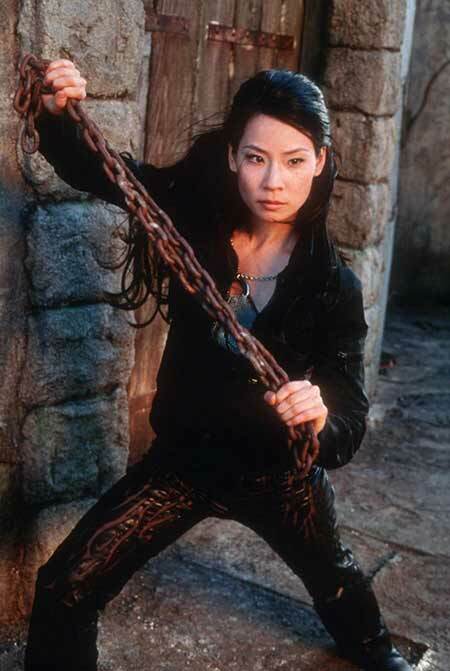 Lucy Liu was born to parents Cecilia and Tom Liu on December 2, 1968, in Jackson Heights, Queens, New York City, New York. She was raised alongside her two siblings a sister named Jenny and a brother named Alex. Her father Tom worked as a trained civil engineer who used to sell digital clock pens and her mother Cecilia was a biochemist. Her parents were a middle-class people who worked many jobs to raise their children. They immigrated from Beijing and Shanghai. Liu grew up in a diverse neighborhood and spoke Mandarin and English from an early age. As for her schooling, she attended Joseph Pulitzer Middle School and later on enrolled at Stuyvesant High School in 1986 from where she graduated. For her higher studies, she joined the University of Michigan located in Ann Arbor, Michigan. During her time there she was a member of the Chi Omega sorority. Liu achieved a bachelor's degree in Asian Languages and cultures. Lucy Liu is professionally an actress, director, artist and voice actress who has involved herself in various fields. She debuted in the entertainment industry in 1991 from the Television series named Beverly Hills, 90210 where she portrayed Courtney for an episode. After her debut, she kept appearing in more Television series. Liu's movie debut happened in 1992 when she was cast in a movie named Rhythm of Destiny. Her notable movies include the action-comedy movie Charles Angels where she played the role of Alex Munday. In the movie, she was joined by two other lead actresses Cameron Diaz and Drew Barrymore. Her recent projects include her 2018 movies Set it Up and Future World where she was cast in the role of Kirsten Stevens and The Queen respectively. Besides she has also worked as a visual artist and showcases her self-made paintings, photography, and collage in art galleries. Her directing career started in 2014 when she directed a movie named Meena which is a story about an eight-year-old Indian girl who was sold to a brothel. The movie was based on a true story and it was screened in New York City. The American native actress Lucy Liu is estimated to have a net worth of $16 million and takes home a salary of $130k for an episode of the series she features in. From her cast in the American procedural drama Elementary, she grabbed a salary of $125k and $130k in 2012 & 2013 respectively. Liu put her Hollywood home back in the market again in October 2018. She reduced the price by $700,000 from the asking price of $4.199 million to a cheaper $3.5 million. Liu owns an LA apartment which she bought in 2004 and by renting it she earns around $12k per month. Some of her movies are a big hit in the box office collection. Cast Members - Cameron Diaz, Drew Barrymore, and Bill Murray. Cast Members - Jackie Chan and Owen Wilson. Cast Members - Uma Thurman, Vivica A. Fox, and Daryl Hannah. The Asian-American actress Lucy Liu has done many charitable works in her lifetime. She raised funds for breast cancer research and education through Lee National Denim Day fundraiser program. UNICEF appointed her as their U.S fund ambassador in 2004 and she traveled to several places like Lesotho, Pakistan and so on. For her amazing work in raising funds, she was awarded the Asian Excellence Award for Visibility. In 2011 she became the spokesperson for the Human Rights Campaign since she was a major supporter of equality of lesbians and gays. Besides, she actively takes part in spreading awareness about the global threat of iron deficiency anemia, vitamin and mineral malnutrition occurring in the young infants and children. The charming actress Lucy Liu is not married as of yet but has been involved in some relationships. She is a single mother who has a son named Rockwell Lloyd Liu who was born through a surrogate on August 27, 2015. Liu has been living the best single mother life one could ever imagine. She decided to take that option since she was busy with work and since his birth, she has been the happiest person on the planet. She travels the world with her son. According to Page Six, Liu is dating an Israeli-American man named Noam Gottesman for six years. He is a billionaire and the couple has kept their relationship private from the media. She is a member of the Chinese-American organization Committee of 100 since 2004 and is still involved with the committee. Liu underwent surgery for breast cancer in 1991 after doctors diagnosed her with the disease and the lump was removed. She is a religious person and has studied various religions like Buddhism, Taoism, and Jewish Mysticism. Liu believes in spirituality and loves to involve herself in everything related to meditations. 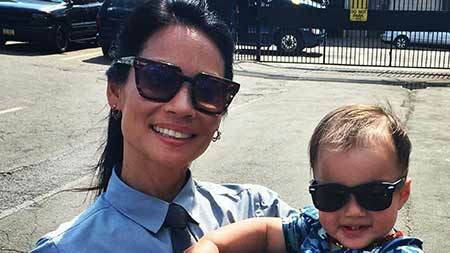 Liu took part in the Tylenol's #HowWeFamily Mother's Day Campaign. Comedian Awkwafina paid tribute to Lucy Liu while hosting the show, Saturday Night Live. Here is a video of Lucy Liu featuring on the talk show, Late Show with Stephen Colbert. According to Page Six, Liu is dating an Israeli-American man named Noam Gottesman for six years. She is a single mother who has a son named Rockwell Lloyd Liu through a surrogate on August 27, 2015.